Yes! I'm ready to begin generating CONSISTENT profits by trading Options. The Market Tamer 'Live' Coaching Program consists of THREE Weekly Coaching Calls (Every Monday, Tuesday and Wednesday at 9:00 pm ET). During each call I'll discover the 'best' options trading strategies for current market conditions. Trade Bull Put and Bear Call Credit Spreads, staying on the positive side of any movement. Apply the 'best' strategies that work right now in the market. Reduce my risk, and increase my profit potential. Fix Broken Trades. 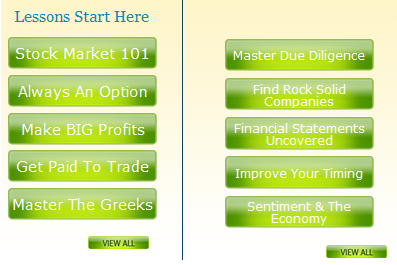 I'll be able to make necessary adjustments to turn my losing trades into winning trades. Profit from Options in ANY market trend... up, down or sideways! Turn my options trading into a weekly income generator. Use Candlesticks to time entries and exits for larger than average profit potential. Identify the stocks that are ready to deliver big gains. Get trained on how to Master the Basics of Options trading to assure I begin trading Options the right way. Learn vital knowledge that will virtually 'Force' over-sized gains in my portfolio. Discover safe stock market strategies that reduce my risk to practically 'ZERO'. Learn rock solid income strategies that pay me no matter if my trading style is 'Bullish' or 'Bearish'. Learn how to profit from 'Explosive' market movement. Make money if the market goes up or down. Learn how time and patience can make me more money. Receive key portfolio strategies to manage my portfolio smarter, resulting in more consistent gains. 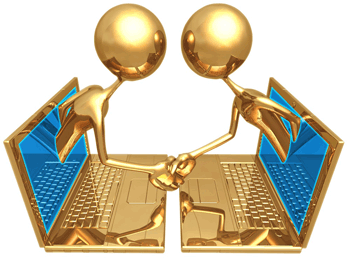 See the methods of expert traders that provide them with minimum losses and maximum returns. Learn professional adjustment strategies that practically guarantee a profit explosion in my portfolio. Access to ALL previously recorded coaching calls (600+), to review whenever I want… as much as I want. PLUS, I'll have 'direct' email access to the professional coaching staff at Market Tamer, so I'll always get my personal trading questions answered! The Market Timer Select (which is powered by the Market Timer Algorithm) can reduce my risk and create positive expectancy in my portfolio! 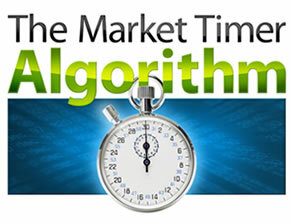 Access to The Market Timer Algorithm Select, which sorts through thousands of high-probability/high-expectancy trades each and every day, and delivers 1 (one) premium stock selection every Monday with a fixed trigger price that gives me the assurance of knowing exactly what price point is optimal from a reward to risk ratio. Access to a weekly Market Timer Algorithm Select coaching call where Market Tamer instructors will help me get the most from the Select and show me how to manage the trades for maximum profit.